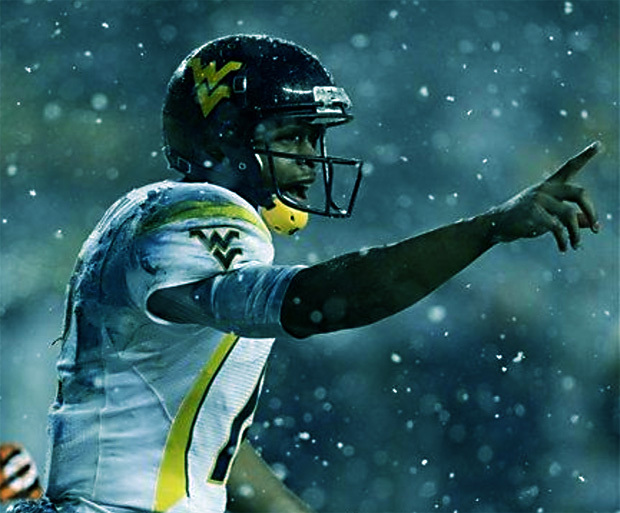 The Eagles conducted a private workout with West Virginia QB Geno Smith on the eve of NFL free agency. The Eagles currently hold the #4 overall pick and may just be doing their due diligence by getting a closer look at Geno. Chip Kelly and Howie Roseman obviously wanted to confirm what they saw or didn’t see while watching Geno’s film. Ordinarily, I would say that you shouldn’t read too much into this workout, however, this workout was also attended by team owner Jeffrey Lurie. This is where the situation gets very interesting. Why in the hell would Lurie go along? Maybe he just wants to be more involved in the draft process this time around. If word comes out that Lurie goes to see every last big-time prospect in person from now on, then there is nothing special about his presence at Geno’s workout, but if he doesn’t attend other workouts, this event could be significant. Lurie could want a closer look at his potential franchise quarterback. You have to ask why everyone had previously written off Geno Smith to the Eagles at #4. He does have some accuracy concerns, which can be cleaned up, but consistent accuracy should be a given for a quarterback picked in the top five. Geno Smith isn’t a dumb person; he can read defenses well, has a big arm, and is a very capable athlete, although he is no RG3. Most people use this comparison with RG3 as a reason that Geno Smith could never run the read-option offense. But after Geno Smith’s surprising 4.59 second 40 yard dash at the NFL Combine, people are beginning to rethink Geno’s athleticism. I would agree that Geno Smith’s overall athleticism doesn’t seem to have enough upside to justify drafting him into a read-option offense, especially at the 4th overall pick. This is assuming that Kelly will use elements of his old offense in the NFL. I still think it’s likely that Kelly and offensive coordinator Pat Shurmur create an offense the NFL hasn’t seen before, at least certain elements of the offense. If Chip Kelly just needs a smart QB who can read defenses in a way similar to Peyton Manning, then use that reading ability to deploy a deadly up-tempo offense, then Geno Smith might not be such a bad fit. We really know nothing about what kind of offense Chip Kelly wants to run, everyone has just decided that it will be the read-option because Kelly is stockpiling mobile quarterbacks. If the offense will be run focused, but not necessarily QB run focused, Geno Smith could have a decent amount of success and stay healthy along the way. If Geno Smith is the pick, we really have to justify why Michael Vick was kept around. Perhaps Kelly just needs a tackling dummy (sorry Vick) to work out the kinks in his offense before putting his future QB in harm’s way. After Vick gets hurt between week 8-12, Geno Smith could get stuck in after having half a season to get his feet wet. I have to admit the idea is intriguing, but I would still rather draft Dion Jordan at #4, throw Vick and Dixon into the fire for one year and draft the real QB successor in next year’s better QB Draft. If we’re all going to admit that Chip Kelly’s first year is a write-off anyway, why not wait on the QB and focus on other more promising positions in the draft. There really isn’t much reason to keep Vick around if you are gonna take a QB that high in the draft, because in today’s NFL your QB doesn’t get much better holding a clipboard, he needs to be under fire, adjusting to the speed of the game. Kevin Kolb held a clipboard for years and it didn’t help one bit. By the time Kolb got the job he still looked like a rookie. If the Eagles draft Geno, I’ll probably be excited, but I just don’t think he has enough upside to justify such a high pick. Although with Chip Kelly at the helm, he could probably turn any capable quarterback into a gunslinger. Here’s hoping. What do you think about the Eagles interested in Geno Smith? Could Chip Kelly’s new offense thrive with Geno under center? Why bring back Michael Vick, if Geno was going to be the drafted? Follow EagleFury on Twitter for updates of the latest blog posts and the best Eagles-related ReTweets.